Nine county-wide campsites were vibrant learning environments for a record number of rising or struggling kindergartners. Camp READY! 2017 took place at sites in Frostproof, Fort Meade, Lake Wales, Bartow, Haines City, Lakeland and Winter Haven throughout June and July. 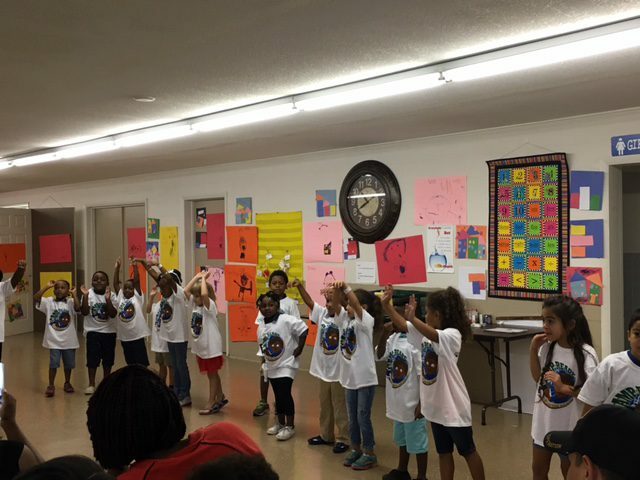 This successful four-week camp helped to prepare rising and repeating kindergartners for academic success this coming school year. 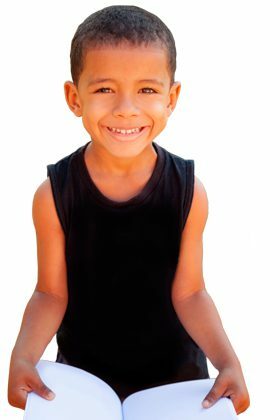 Campers demonstrated learning gains averaging four to five months with some scores indicating one year or more of growth in expressive or receptive vocabulary, huge increases for five year-old children. Other successes were demonstrated in listening, attending and focusing, following directions, and social skills. Eight camps were underwritten with United Way monies, and one camp was funded by a Givewell Community Foundation donor. LRC is rolling out its lineup of 2017 summer enrichment programs for kindergarten through high school grade levels. Scroll down to find out about each program and to find the one that best suits you or your student. Rising and repeating kindergartners can gain the skills necessary for school at LRC’s Camp READY! featuring multi-sensory learning experiences in a fun, engaging format at ten locations throughout Polk County. On average, Camp READY! students who attend the full program demonstrate learning gains of seven months in vocabulary development. Camps will take place for four weeks during June 6-July 28, 2017. Dates and times vary by site. The cost is $25 for the entire month. Students entering 1st- 5th grade are invited to Camp Discovery at All Saints Academy in Winter Haven. Camps will focus on critical thinking, reading, writing, science and math skills, offering students four, week-long camps during June 5-30, 2017, Monday-Friday. Choose half-day camp from 9 a.m.-12 p.m. for $140 per week or full-day from 9 a.m.-3 p.m. for $200 per week. Students entering 1st-6th grade are encouraged to attend Super Summer Success, an enrichment program that helps students maintain their mental momentum throughout the summer with a fun and active approach to reading, writing and math. Super Summer Success will take place June 12-29, 2017, Monday-Thursday, from 8 a.m.-12 p.m. at South McKeel Academy in Lakeland. The full cost is $315. Middle school and high school students may consider study skills courses that provide motivational strategies and study techniques to become more effective learners. Study Habits of Successful Students for grades 6-8 will take place July 10-14, 2017 from 9:30-11:30 a.m., while Get the Competitive Edge…College Success Planning for grades 9-12 will take place July 10-14, 2017 from 1-3 p.m. Both will be held at the Learning Resource Center in Lakeland. The cost for each is $145. High School students will benefit from LRC’s ACT and SAT summer test preparation courses. Preparation courses are designed to build confident, successful students, helping them achieve their best possible score through problem-solving strategies tailored towards each test. The ACT Summer Prep Course will take place July 17-21, 2017 (9:30 a.m.-3:30 p.m. for the full course) at the Learning Resource Center, while the SAT Summer Prep Course will take place July 24-27, 2017 (9:30 a.m.-3:30 p.m. for the full course) at the Learning Resource Center in Lakeland. The cost of each full course is $440 and includes a book. 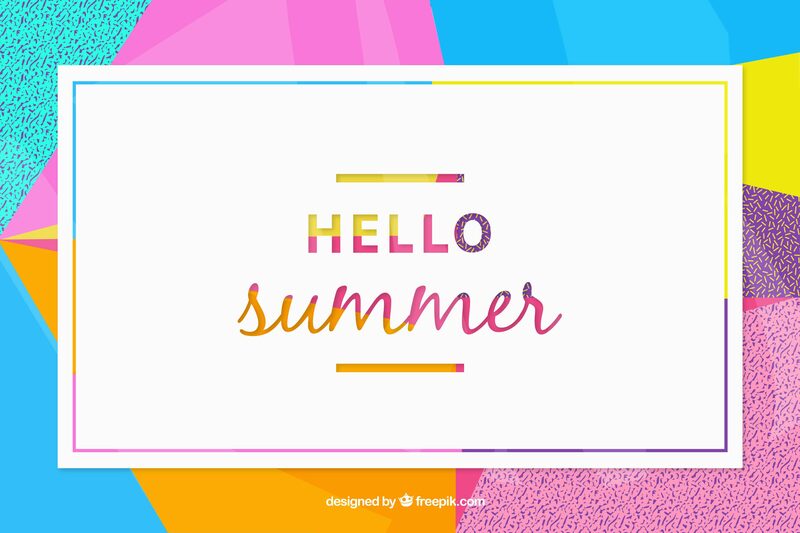 In addition to the courses and camps mentioned, LRC also continues One-to-One Tutoring services for students of all ages who feel they need an extra boost during the summer months. With more than 500 tutors throughout Polk County who are able to help students in numerous subjects or prepare for various assessments, LRC will find a tutor that can meet your academic need in your area. LRC offers a sliding fee scale based on the gross annual household income. Scholarships are also available for families with documented financial need for any of these programs. For additional information or to enroll, please click on the program link above or call LRC at 863-688-9477. “I’m not going to sing!” – A Tale of Success at Camp READY! 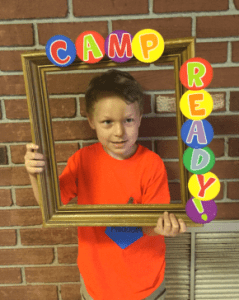 We first saw ridiculously adorable and compact, little Maddox with messy sandy blonde hair, camouflage t-shirt, jean shorts and cowboy boots clinging to his dad’s leg with a sheepish grin spreading across his muddy face that first day of Camp READY! on June 20, 2016. His family lived a half-hour away. Maddox had never been to preschool before. Dad brought Maddox faithfully every day so that Maddox could get ready for kindergarten and have an awesome first year in school. The teachers and counselors at Bartow’s Camp READY! agreed that Maddox was a bit reluctant to participate at first. In fact, he confidently declared on the first day of camp, “I am not going to sing in the show, and my dad is not coming!” We assured him that he would have a great time singing for the parents and we would make sure his dad would come! Having never been to preschool, he had trouble writing his name, which looked more like he wrote it with an alien alphabet. He could name a few shapes, but could not name any colors. He did not know any numbers between 0-21 and could only identify the letter “W”, which was the first letter of his last name. He also had not spent much time socializing outside of his family and church, so camp was a nice, gentle exposure into getting along with all types of friends at school. In 20 days, we immersed Maddox in letter sounds, shapes, colors and numbers through play and fun movement activities, readiness, art and cooking centers. He was bombarded with literacy as he listened to dozens of high-quality books in all three classes throughout his morning. He was exposed to all sorts of new vocabulary in positional words with movement activities. While in cooking, he learned science, measuring and dividing food to share. He practiced his letters and their sounds through daily singing of the alphabet song, “Learning Letter Sounds”. Maddox did like to sing, after all. In fact, he was the star of the show, belting out the alphabet song. After the show, we overheard Maddox talking to his buddy Kyle. “Oh yeah? How do you spell it?,” checked Kyle. Kids say the funniest things. Camp READY! Staff is Prepped and Ready to Teach! Seventy enthusiastic participants who will serve Camp READY! campers congregated at two different sites on Saturday, May 21. Come June and July, these folks will be in positions of camp site director, instructor, counselor or support staff. Camp READY! is LRC’s signature program for beginning or struggling kindergartners geared towards preparing them for success in the classroom. 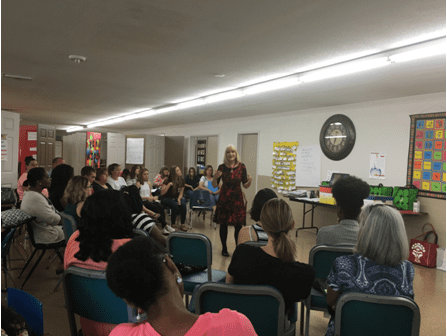 During the two and a half hour training, attendees met with their camp colleagues to get acquainted and to assign roles for the upcoming four-week sessions at ten different sites across Polk County. Breakout workshops provided time and attention for practice with the curriculum for each site’s learning centers—Readiness, Cooking, Movement, and Art. This year will be the inaugural year for incorporation of Nemours’ Bright Start Program, an acclaimed pre-kindergarten language development initiative from the Nemours’ Pediatric Hospitals. Camp READY! 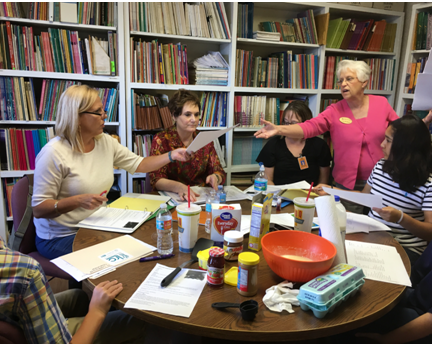 instructors practice integrating reading and math readiness skills into the practical application of making pancakes. Art Facilitator Jacel Jones models the language of art, as well as the proper way to teach children how to hold scissors or a brush. Master Teacher Dr. Mary Stowers introduces Nemours’ Bright Start Program to Camp READY! instructors and counselors. The Learning Resource Center is offering summer enrichment programs for the 2016 season for kindergarten through high school grade levels. Scroll down to find the level you’re seeking below. Camp READY! featuring multi-sensory learning experiences in a fun, engaging format at ten locations throughout Polk County. On average, Camp READY! students who attend the full program demonstrate learning gains of seven months in vocabulary development. Camp READY! dates are June 13-July 29, 2016. Each camp will take place Monday through Friday from 8:30 a.m.-11:30 a.m. for four weeks except for Poinciana and Ft. Meade camps, which will take place Monday-Thursday from 8 a.m.-12 p.m. Dates vary by location. The cost is $25 for the entire month. Students entering 1st- 5th grade are invited to PEP Summer Camps in Winter Haven. A collaboration between LRC, Polk County Public Schools and the Winter Haven Public Education Partnership, this enrichment program will offer students three week-long camps at the PEP Center or Inwood Elementary. Camps will focus on science, sports and art & music with math and reading components and will take place from 8:30 a.m.-11:30 a.m., Monday-Thursday on June 13-30, 2016. The cost is $25 per week. Students who have completed kindergarten through 5th grade are encouraged to attend Super Summer Success, an enrichment program that helps students maintain their mental momentum through the summer with a fun and active approach to reading, writing and math. Super Summer Success will take place June 20-July 14, 2016 from 8 a.m.-12 p.m. at South McKeel Academy in Lakeland. The full cost is $395. Middle school students may consider Study Habits of Successful Students for motivational strategies and study techniques to become a more effective learner. Lessons will include: Get Motivated, Listen Up and Take Notes, Set Goals to Achieve, Read Actively, Manage Your Time, Become Test-Wise. This study skills course will take place July 11-15 from 9:30 a.m.-11:30 a.m. at the Learning Resource Center in Lakeland. The cost is $145. High school students can “get the competitive edge” with College Success Planning. Students enrolled in this course will learn and practice time-tested, effective, and efficient study strategies, as well as concrete techniques to gain the competitive edge necessary for high school and college. College Success Planning will take place July 11-15 from 1 p.m.-3 p.m. at the Learning Resource Center in Lakeland. The cost is $145. High School students will benefit from LRC’s ACT and SAT summer test preparation courses. Preparation courses are designed to build confident, successful students, helping them achieve their best possible score through problem-solving strategies tailored towards each test. The ACT Summer Preparation Course will take place July 18-22, 2016 at the Learning Resource Center, while the SAT Summer Preparation Course will take place July 25-29, 2016 at the Learning Resource Center in Lakeland. The cost of each full course is $440. Scholarships for any of these programs are available to families with a documented financial need. Please do not hesitate to enroll in any of the courses, as many of them are small-group settings and fill up quickly. To register, please click on the program link above or call 863-688-9477. Get Ready at Camp READY! Camp READY! dates are set for Summer 2016. If you have a rising or repeating kindergartner, make sure they’re prepared for academic success by enrolling them in the Learning Resource Center’s annual kindergarten-readiness program. On average, Camp READY! students have shown growth of seven months from pre- to post-assessment in just four weeks. Through hands-on, experiential learning centers lead by qualified teachers, students will experience learning that is fun! With art, music and movement, cooking, and reading-readiness centers, Camp READY! builds pre-reading skills while also providing a safety net to allow children more time to continue motor, social and cognitive development. Teachers will engage students in themed rich language-laden lessons, while also providing learning opportunities for parent involvement at camp and at home. The program is designed for students entering or repeating kindergarten in August 2016. The cost of camp is $25 for the month and includes a shirt. If this fee causes a financial hardship, please call LRC at 863-688-9477 to discuss scholarship options. To register your child before spots are filled, please visit lrcpolk.com/programs/camp-ready or call LRC at 863-688-9477. Every June brings an incredible array of educational adventures to the always-open doors of LRC. Some are long-time traditional classes, and others are brand-new opportunities to meet the academic needs of the community. Summer 2015, too, is appropriately unique in its offerings. Campers aged 5-6 years old participate in LRC’s award-winning month-long activity-based program designed to increase their success in Kindergarten. Sites for 2015 are Frostproof, Lake Wales, Winter Haven, Haines City, Poinciana, Bartow, Ft. Meade, North Lakeland, and South Lakeland. Elementary school students perfected their reading and math skills in engaging projects and participatory activities. The classes were hosted at Highland City Elementary School for four weeks. Parents were invited to celebrate completed projects and learning gains. Middle School and High School students identified and practiced strategies to improve organization and time management skills, test-taking techniques, critical thinking, listening and focusing tips, and effective communication in a week-long class at LRC Offices. LRC is offering test preparation to students with myriad needs this summer. Students hoping to secure a Bright Futures Scholarships or college acceptance are enrolled in classes at the LRC Center. Students studying with the Galindo Tennis Academy are working with English vocabulary and grammar in classes held on Florida Southern College campus. Two new initiatives through Heartland for Children take LRC teachers to Auburndale and Sebring. 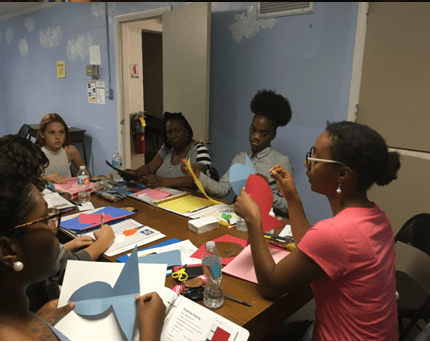 IRACE, an initiative to involve underserved youth, has partnered with LRC to offer intensive math tutoring, study skills, and Florida Virtual School coaching. Hansen House, a residential program in Highlands County, is the scene for one-to-one tutoring. Eight Fun Facts about Camp READY! All children have potential. Not all children have opportunity. Small and wiry, 5-year old Brandon raced from one room to another on his first morning of summer camp. It quickly became evident that this spirited young boy had difficulty following directions and sitting still to focus was almost impossible. He was unsure of his letters, sounds, shapes and numbers and this made it even more difficult to focus and participate in learning games. Early assessments showed that both his receptive vocabulary (words familiar and understood when heard) and his expressive vocabulary (words chosen to communicate) were below expectations for his age. Brandon was also hesitant to associate with the other campers and did not want to share. Over the next few weeks, Brandon would have many challenges to overcome. The four learning centers gave him plenty of opportunities to practice new and previously learned skills. Camp Instructors worked with him individually to improve his recognition of shapes, improve his vocabulary skills and gave him the leadership responsibility of line leader with clear instructions of his duties. Brandon took his task seriously and excelled. As Camp progressed, it was noted that Brandon was developing friendships, often actually sitting and sharing a book with another child while waiting for Parent pick-up. Brandon’s end-of-camp assessment showed that he had grown more than eight months in working vocabulary, a significant gain for a 5-year old. And, the success has held for Brandon. Wearing a huge smile, his mom proudly shared a recent kindergarten report card which clearly indicated Brandon’s grade level achievement with all As and Bs. School Readiness is a critical factor in a student’s success. Children who start kindergarten with age-appropriate language skills, learn to read, pass their 3rd Grade Standardized Tests and are more likely to graduate high school. 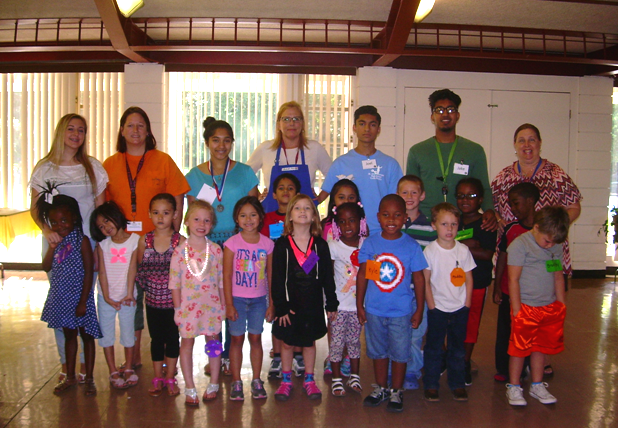 Brandon attended LRC’s Camp READY!, a summer learning program for rising and repeating kindergartners. United Way of Central Florida and the Learning Resource Center work together in a valued partnership to produce lasting change through education and help all students maximize their learning potential.